Just like airplanes, airline complaints are going up and down. 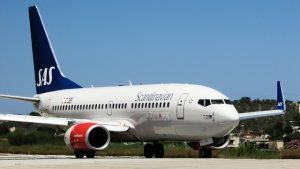 For the most part, airlines are continuing to improve their baggage handling rates and reducing the number of canceled flights, which is leading to fewer complaints from passengers. 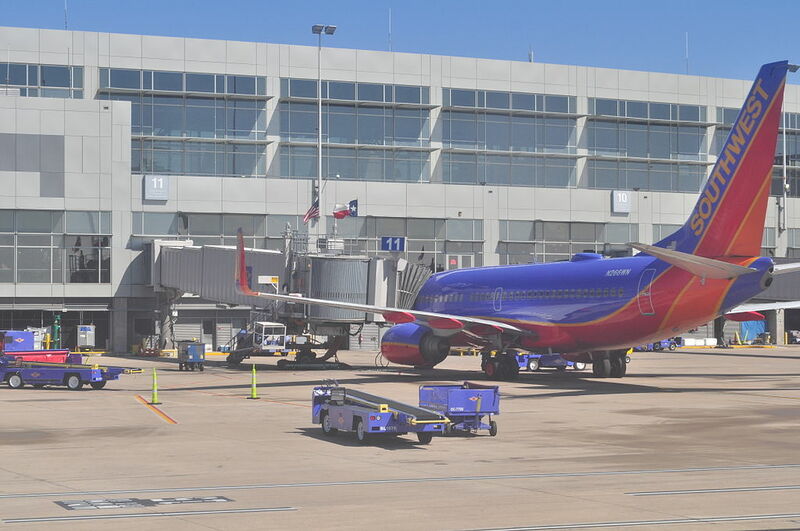 Thanks to new baggage handling technology and better planning and scheduling, we’re seeing fewer issues for passengers, which is putting travelers in a better mood, at least for the month of April. 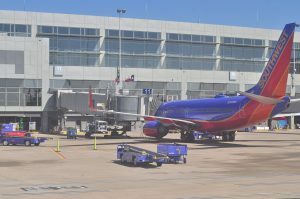 According to the Bureau of Transportation Statistics, the dozen airlines that report baggage handling issues had 2.39 cases of mishandled bags for every 1,000 passengers, as reported in April 2018. That’s a drop from March which had 2.59. What’s more, April 2017 saw a rate of 2.5, so there was an improvement from month to month, as well as year-over-year. 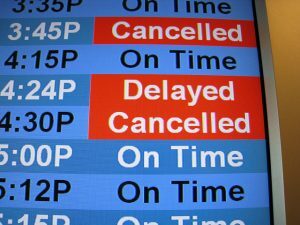 It’s every weary traveler’s nightmare scenario: the flight you’re supposed to be on is canceled. What you do next will determine whether your day is totally ruined or ultimately redeemed. Not every situation can be remedied, but knowing a few action steps can make all the difference in getting you to your destination. The faster you get on the phone with the airline to rebook your flight, the better your chances are of making it to your final destination. It’ll do you little good to stand in the long line with everyone else who’s waiting to speak with the ticket agent at the gate. Tip: If you feel like talking to a gate agent, go to another gate of the same airline where a flight recently left. They’re all plugged into the same system, and can do just as much for you as your original gate’s agent. Be sure to have some alternatives in mind, because the agents don’t always know the destination region where you’re flying. For example, you may not be able to get into Chicago due to weather, but if Chicago is your final destination, you could reroute through Milwaukee or even Indianapolis and be within driving distance of the Windy City. Thinking through your options and presenting them to whomever you’re working with to rebook your flight will let the agent know you’re flexible. The United States turned 240 years old this year. If you think about where we were in terms of transportation at the dawn of our nation, compared to the technological advancements we have experienced just since 2000, the tantalizing possibilities of the future of air travel are mind boggling. According to Boeing Senior Technical Fellows Brian Tillotson and Kevin Bowcutt, space travel and hypersonics will be at the forefront of aviation innovation. Boeing, which is celebrating its centennial this year, talked with Travel + Leisure about its dreams and goals. Some of these may come to fruition as early as 2035. 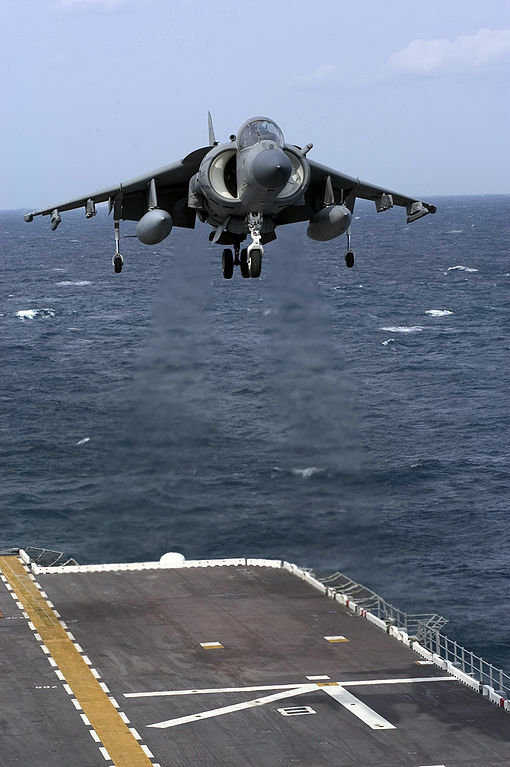 The Harrier Jump Jet, one of the most famous and successful fixed-wing single-engine VTOL aircraft. 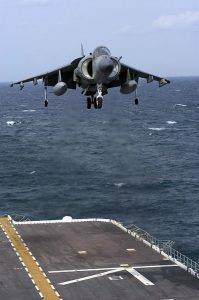 It can take off and land in areas without a long runway. Tillotson speculates air travel will begin at home with the plane coming to pick you up at your residence, and takeoff and landing will most likely be vertical. You may be able to book a flight simply by thinking about it. This may seem far fetched, but with advancements in mobile devices and wearable technology, it may end up looking, according to Bowcutt, like an evolved version of Uber. Tillotson forecasts that airport security will be the product of many linked networks, allowing law enforcement to more easily identify those with criminal histories. Planes may be transparent, according to Tillotson, in order to help maintenance crews identify problems more quickly. It’s also possible, with this kind of construction, that every surface could double as a display screen, allowing for efficient troubleshooting. If a genie in a bottle granted you three wishes that could only be applied to your airline experience, what would they be? 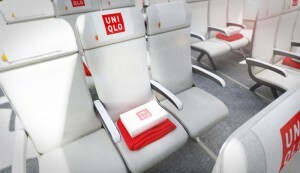 Teague has some interesting ideas about airplane design, including making that much-maligned middle seat more desirable. Funny you should ask. 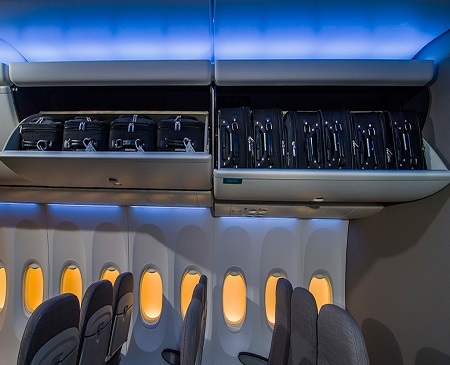 Teague, a Seattle design firm that has designed the interiors of all Boeing’s planes since 1946, took a swing at that question and came up with some innovative suggestions. They may not be your top three, but with time you might come around to see the merits of their questioning of the industry’s status quo. Would you ever consider checking all your luggage, even if it was only a carry-on, if it would be free to do so? What if you would be charged for your carry-on? According to Teague’s own blog post, the airlines are drunk on baggage fees. They’re a boon to the business, but perceived as a fine to the traveler. So, if you eliminate carry-ons (other than a briefcase or purse) and only allow checked bags, what benefit would that be for the consumer? We all think we know the ins and outs of air travel, knowing as much about the rules and tendencies of airlines. But it turns out, these hard and fast rules aren’t nearly as hard or fast as we previously thought. Good Morning America and Yahoo recently busted four travel myths, and discussed how they’re not always correct. Economy is always cheaper than first class. Not so. It depends on the route and how many stops you’re willing to make along the way. For instance, the same flight between LA and New York could be $500 less in first class than it is in economy if you’re willing to incorporate a stop into your travel itinerary. If you’re more interested in saving money than time, it’s a good idea to investigate flights with at least one stop. It might take you longer to get there, but the first class amenities might make you forget all about the time. Non-stop flights are “never” cheaper. It’s possible they aren’t, but this statement misses the real question: how valuable is your time? Time is money, especially when you’re talking about valuable, not-getting-it-back vacation time. If you want to have more time on vacation, and less time traveling, you may want to spend the extra money on that nonstop flight. Discount airlines “always” have the cheapest flights. Again, no blanket statement can ever bear the weight of being true 100 percent of the time! The only way you’ll know which airline has the cheapest fare is to comparison shop. Use a comparison website like Expedia or Travelocity, and then check out the airlines’ websites themselves. 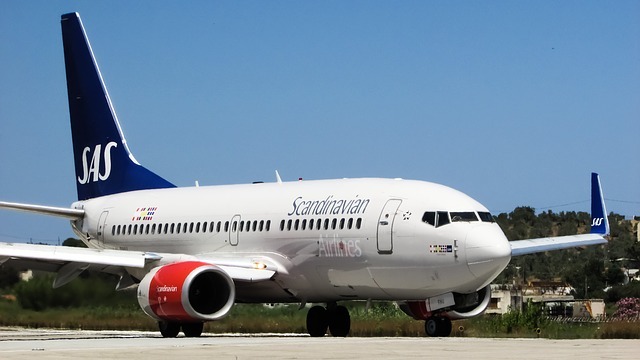 You may occasionally find the big legacy airlines are offering the cheaper flights. 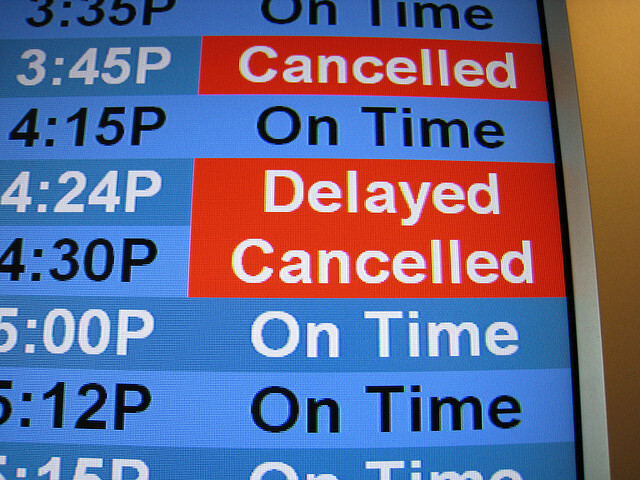 Summer flights are “never” delayed as much as winter flights. In fact, the exact opposite is true. Thunderstorms can involve severe turbulence, lightning strikes, icing due to sudden temperature change, hail damage, and water ingestion by the engines. When thunderstorms occur at or near hub airports, the probability of any of these occurring can halt inbound and outbound traffic, which in turn can create ripple effects to more destinations than a severe winter storm in the Dakotas. The takeaway is there are no absolutes in travel, and myths are often just that. If you can be flexible and do your due diligence, there’s a good chance you can find a flight that will suit your needs and your desires. Airline mileage mavens, take note. The days of making mileage runs to boost your frequent flier membership levels may be coming to an end. A recent article in the Seattle Times says that United and Delta airlines are cracking down on a practice known as “mileage running”. Basically, this practice entails purchasing a low-cost, long-distance ticket and just flying in order to make sure you stay eligible for elite flying status on an airline. For example, if you’re 15,000 miles short of keeping your Super Elite Titanium level, you might purchase the lowest-cost ticket to fly from Chicago to London to Frankfurt to Rome, and back again, all in a four day whirlwind trip. Keeping a higher status can earn you extra miles and other perks such as upgrades to business class or the ability to hang out in the premium lounge. The mileage run often involves a round trip ticket to a destination the traveler has no time to enjoy, connecting through as many stopovers as possible. 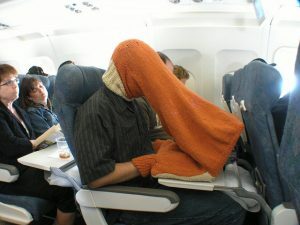 It’s not that surprising airlines are cracking down on this. What is surprising is that people are willing to take such drastic steps, such as spending an entire weekend flying to Europe or South America and back just to gain these ticket points. I have to wonder whether it’s all worth the effort and discomfort. I find that the elite airline mileage programs tend to be problematic anyway. I’ve had trouble booking tickets to the place I want to go and at the time I want them. A lot of blackouts and restrictions apply, not just for the free tickets, but also on what tickets you can use toward getting the free tickets. For me, getting rewards from my credit card has proven to be a lot more worthwhile. I find fewer restrictions in every area of the transaction. There are some credit cards that are specifically geared toward accruing travel points, and I use those whenever possible. Plus, consider how valuable your time is. Many people don’t have the time to take a long haul trip over a weekend like that. It may be worthwhile to spring for a business class ticket once in a while rather than spending 36 hours traveling just to get upgraded. You have to calculate whether the benefit is greater than the cost, both concrete and abstract.